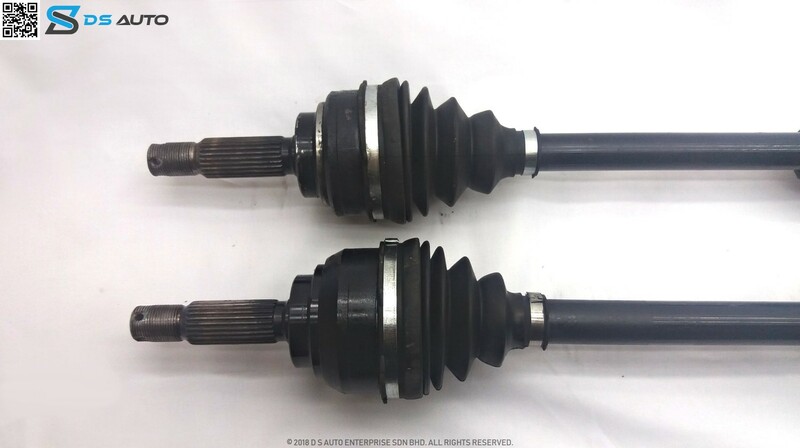 This is Proton Exora drive shaft set, showcasing both the drive shafts from the side view. This is Proton Exora drive shaft set from the top view. 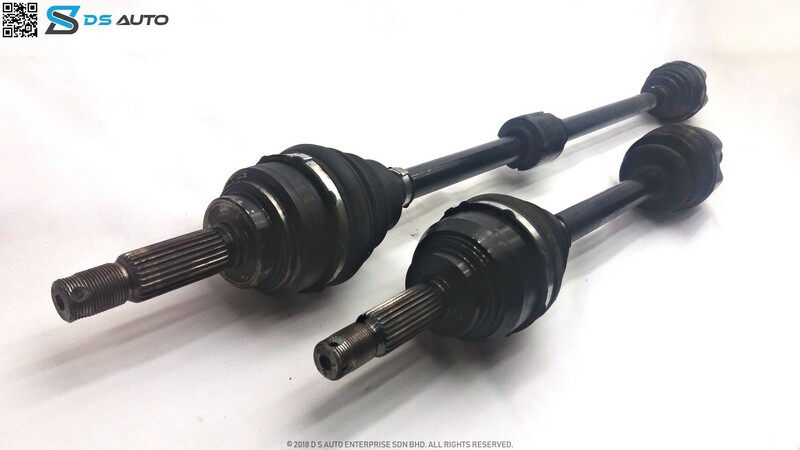 This is Proton Exora drive shaft set, showcasing the outer constant velocity joint. 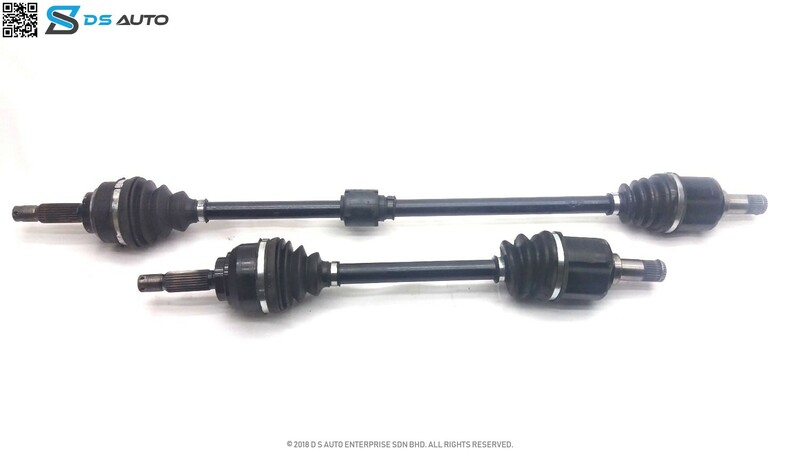 This is Proton Exora drive shaft set, showcasing the inner constant velocity joint. Is your Proton Exora giving you problems? Looking to get your drive shaft replaced? 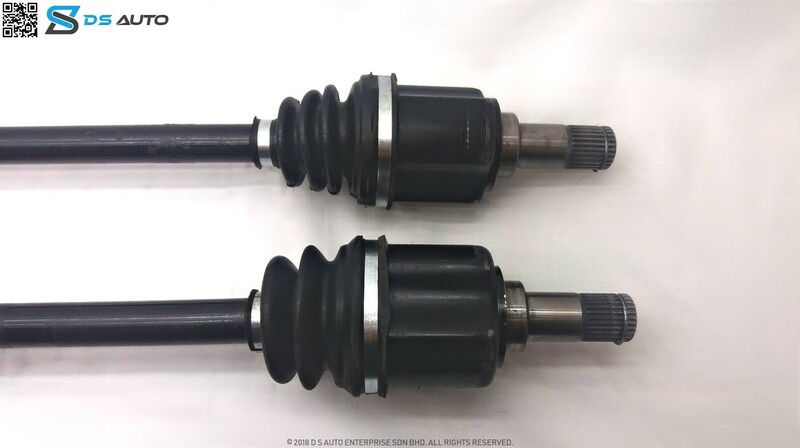 Speak to D S Auto‘s customer service now to get your Proton Exora drive shaft. The Proton Exora is Malaysia’s first indigenous designed Multipurpose Vehicle (MPV). A truly “By Malaysian, for Malaysian” car. It is a compact MPV produced by Proton and released in 2009. Apart from being Malaysia’s first locally designed MPV, it is also Proton’s first ever seven-seater. It is powered by a 1.6-litre Cam Pro engine mated to a four-speed automatic transmission. The Exora came in two trim variants at its initial launch, the M-Line and H-Line. The two variants came with twin airbags, an ABS with EBD and a Back-up system. The M-Line variant had a built-in radio with CD, MP3 and Bluetooth compatibility. In addition to these, the H-Line variant had a roof-mounted LCD infotainment system with DVD playback and USB compatibility. Leather seats, front fog lamps, cruise control and an Atmel GPS touch screen unit were also present in the H-Line variant. Proton introduced a five-speed manual transmission variant in 2009 with the release of the Exora M-Line MT. In that same year, a B-Line variant was released. The B-line came in only manual transmission at a lower price but with less safety. It only had a driver’s airbag ABS and EBD. Proton replaced The M-line, and H-line with two facelifts variants in 2011: the Exora Bold (Executive MT, Executive AT, Premium CVT) and Exora Prime. The Exora Bold Premium and Exora Prime are powered by the new CamPro CFE engine. These two face lift Exora variants are the very first Malaysian cars to use a turbo-charged engine. The Exora Bold Premium and Bold Executive share the same exterior and interior features but the the Exora Bold Executive is still powered by the non- turbocharged CamPro CPS engine. The Bold Premium has larger tyres, front & rear disc brakes and a reverse camera with rear view mirror. Exora Bold MC2 was released in 2014 in 5 variants, with a choice of either CPS or CFE engine. The 2 CPS variants are the MT and AT Standard model while the other 3 CFE variants are Executive, Premium and Super Premium. These three are all in form of automatic CVT transmission. Proton released the Exora Enhanced in 2017 to succeed the Bold MC2. It came in two trim levels, the Executive and Executive Plus. Both are powered by the CamPro 1.6L Turbo engine. The safety equipment for both variants consists of twin airbags, ABS and EBD. How much does the Proton Exora cost? The Proton Exora sold a total of about 117,746 between 2009 and the first quarter of 2014. 1.6L naturally aspirated CPS engine and 1.6L turbo charged CFE engine. The Exora’s major competitor in Malaysia was the Perodua Alza which was less expensive. Other competitors are the Toyota Avanza, Toyota Innova and Nissan Grand Livina. All variants of the Exora have four-star safety rating from ANCAP. Users considered it a simple and comfortable MPV with plenty of kit and space.